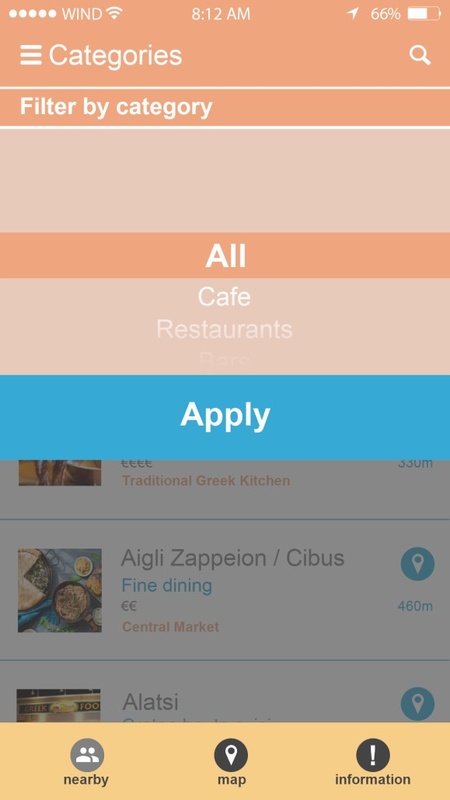 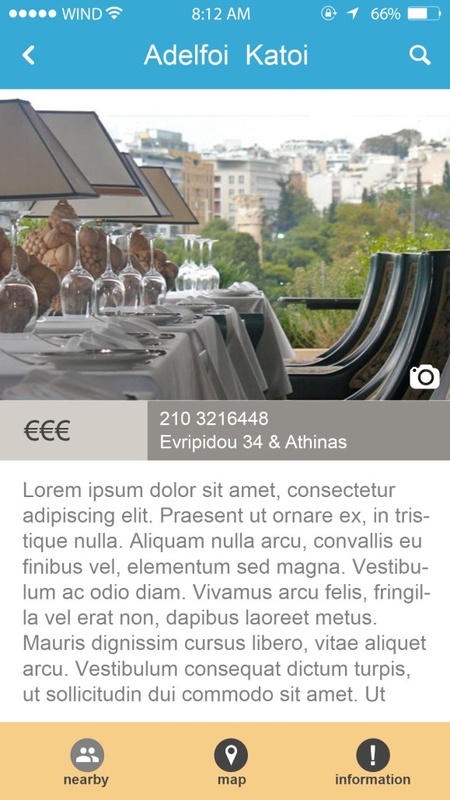 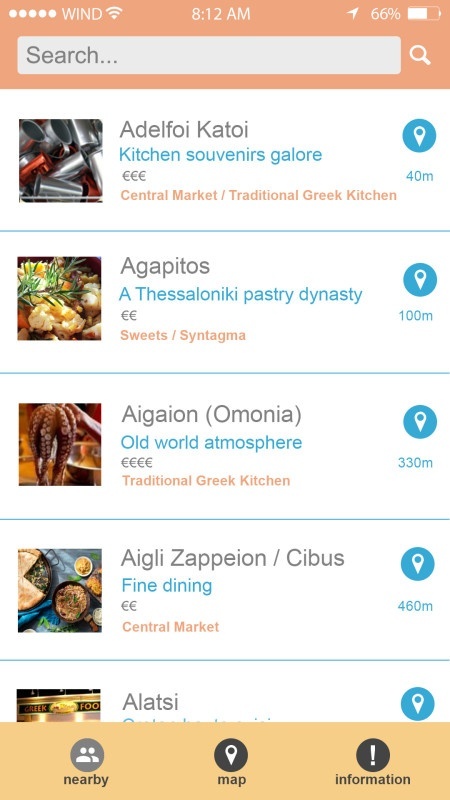 App design for Taste Athens. 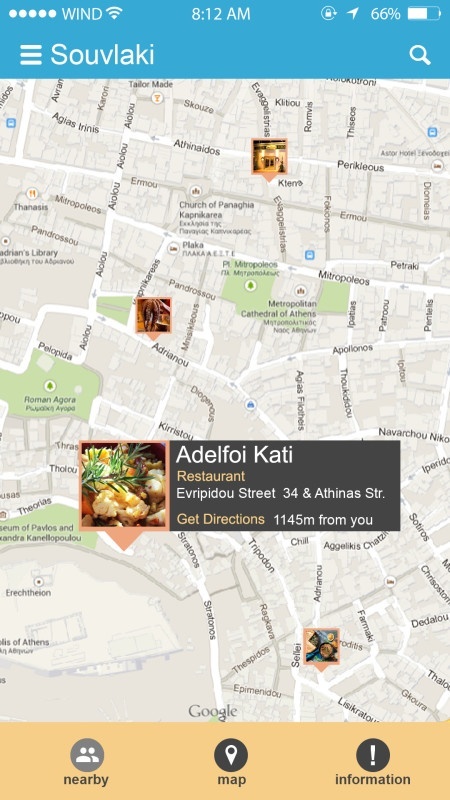 Diane Kochilas’ restaurant and food guide to the best places to eat, drink, and find Greek gourmet products and wines in Athens, Greece. 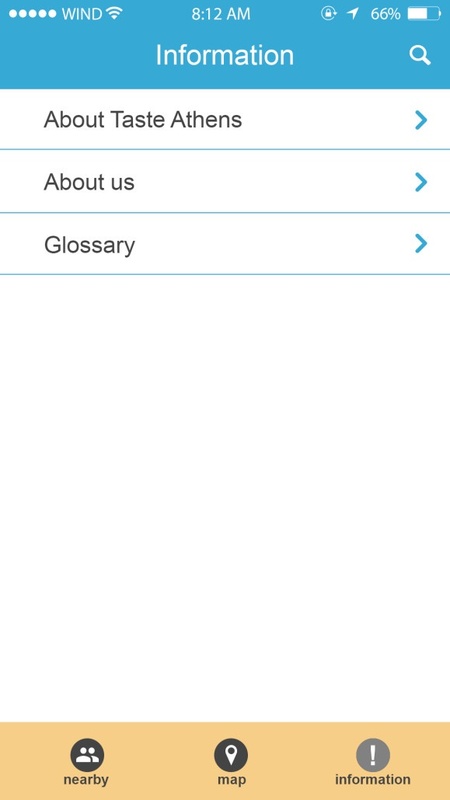 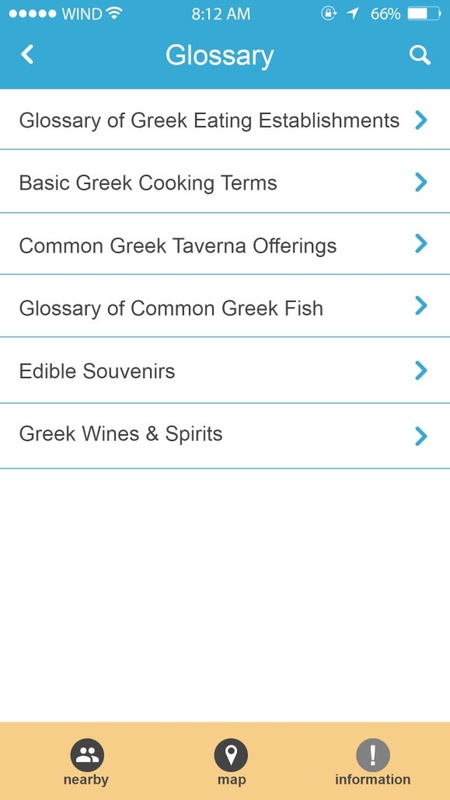 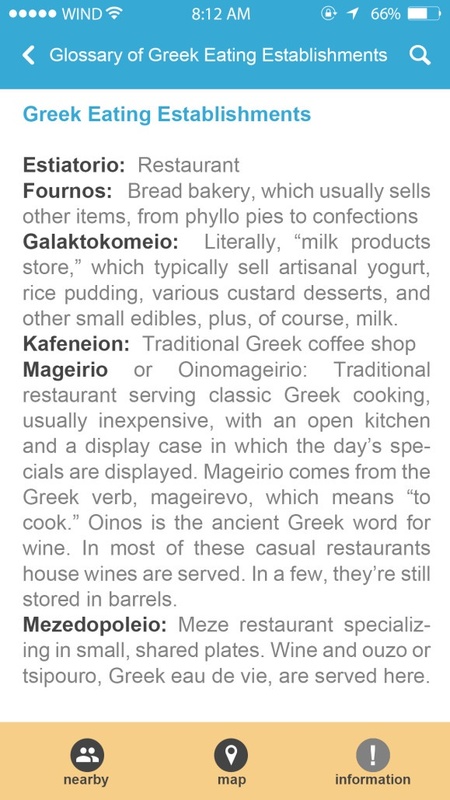 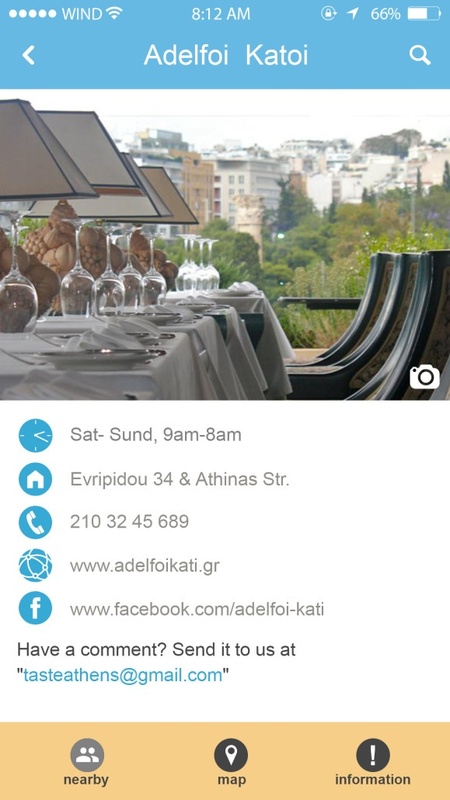 The ultimate insider’s restaurant and food guide to Athens is now available as an application for iOS. 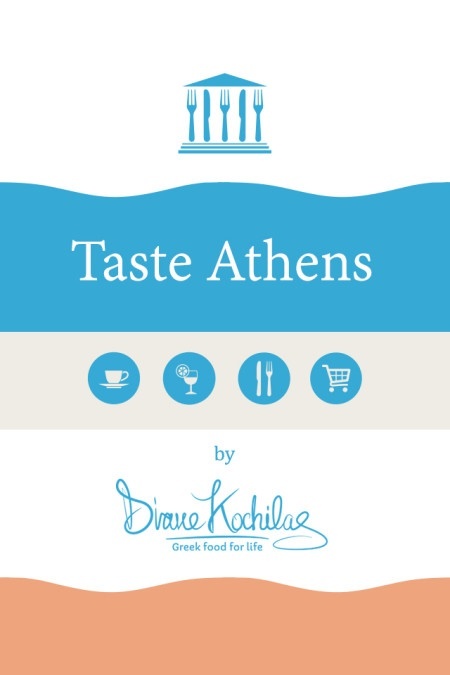 Discover more than 250 of Athens’ most authentic eating, drinking and food destinations, personally chosen by Diane Kochilas, “the Julia Child of Greek cooking,” an award-winning cookbook author, celebrity chef and cooking teacher, who has made Athens her home for more than two decades. 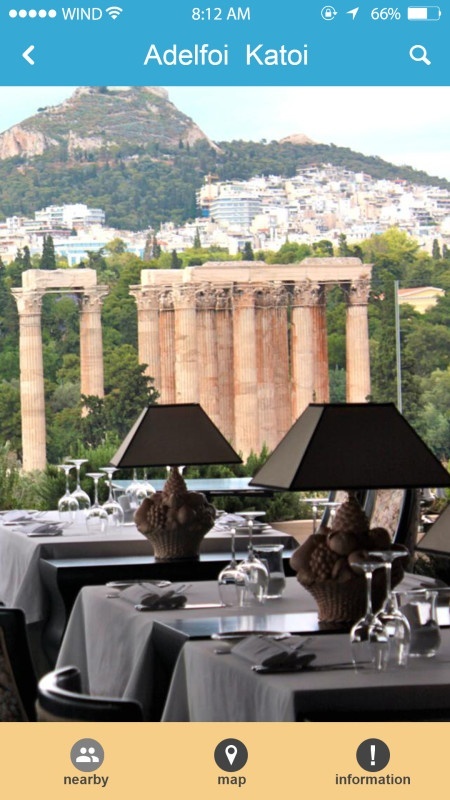 For much of that time she has been the restaurant critic for the city’s largest daily newspaper and knows the food scene of this multi-layered, history-filled capital intimately.